Don’t Slice Those Cucumbers…Smash Them Instead! These Cucumbers Have a Special Herb Sauce That’s Droolworthy! 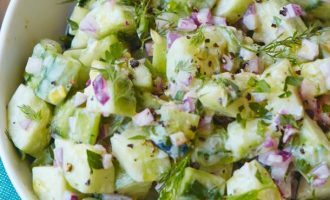 Cucumbers make a great topping for everything from sandwiches to salads, and there are just so many ways to eat them. These Wing Recipes Are Mouthwatering And Make The Perfect Snack For The Super Bowl! 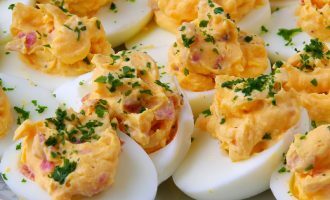 3 Great Reasons Why Tiny Cheese Balls Are Better For Any Party! 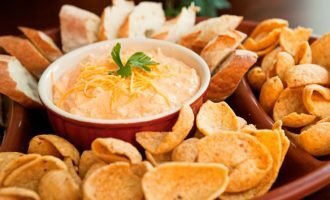 These Snack Stadiums Are Delicious And Just Right For Any Super Bowl Party! These Salsa, Guacamole And Dip Recipes Are Fantastic And Will Be A Big Hit At Any Party!